After several hours of greeting visitors to the White House, on January 1, 1863, Abraham Lincoln went upstairs to his study and made history with his pen. He signed the Emancipation Proclamation into effect, declaring all slaves living in states rebelling against the U.S. “shall be then, thenceforward, and forever free.” This document, which lacks any of the soaring rhetoric of the Gettysburg Address or the Second Inaugural, was written in the style of a terse military order. After all, Lincoln believed that the Constitution rendered him powerless to do anything about slavery as it existed in the states. At first glance, the Proclamation seemed to do very little. It purported to free the slaves in territories of the Confederacy in rebellion against the U.S. Well, the U.S. had very limited power there, anyway, so it is hard to see how the Proclamation could be enforced. Moreover, it did nothing to effect slavery in the border states that were still part of the Union. Maryland, Kentucky, and Missouri were slave states and still part of the Union. The Emancipation Proclamation did nothing to free those slaves. In addition, the Civil War was not going particularly well for the Union. The lopsided carnage at Fredericksburg and the stalemate in the West cast a gloomy pall over new year’s 1863. Lastly, a number of Union soldiers were not too willing to fight to end slavery- they were fighting for Union, not the black man. They found a prominent leader in the Army of the Potomac’s departed commander, General George B. McClellan. In addition, there is a school of thought that argues that the slaves essentially liberated themselves. From the beginning of the Civil War, slaves fled to the Union lines. This presented a problem to Union commanders. Under the Fugitive Slave Law, U.S. officials were obligated to return runaway slaves to their masters. However, when presented with the case of three slaves, Frank Baker, James Townsend and Sheppard Mallory, who had rowed a boat into the Union’s Fort Monroe, General Benjamin Butler, declared them “contraband of war,”- that is, they were being used in support of Confederate armies- and refused to return them. Although Lincoln had reversed Union generals who attempted to declare slaves free in territories under their control, Lincoln did not disturb Butler’s decision and “contraband camps” sprang up behind Union lines full of slaves who fled their masters. These slaves went to work as teamsters, cooks and other laborers in support of the Union Army and eventually comprised a good portion of the 200,000+ African-Americans who fought for the Union. The presence of these contraband camps demanded a solution. 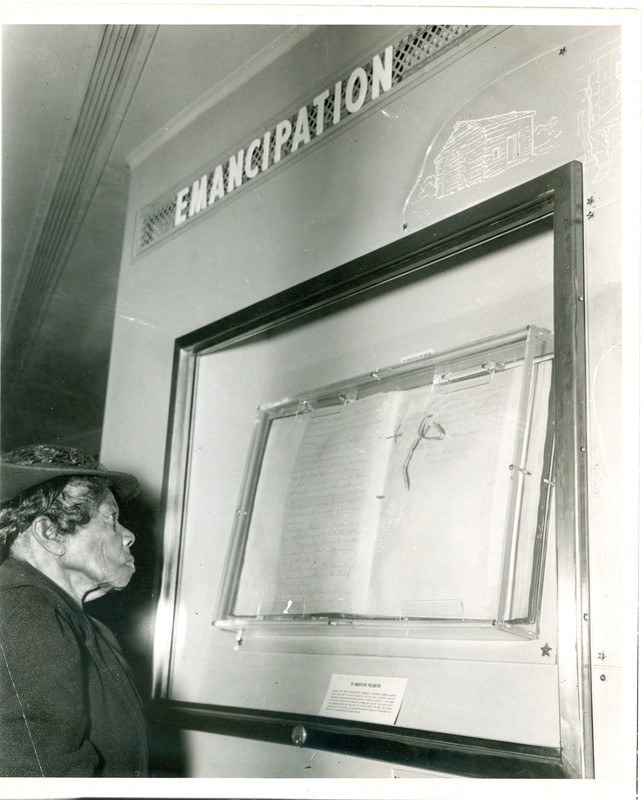 One hundred fifty years ago, the Emancipation Proclamation, more than any other single act, began the slow, bloody process of that new birth of freedom. What does this have to do with immigrants or immigration law? Well, I am sure I could labor for a connection, but the messy, hard process of liberation is worthy of a couple of hundred words in any blog, publication, or other media. ← New Memo on Detainers- Will it be Followed?